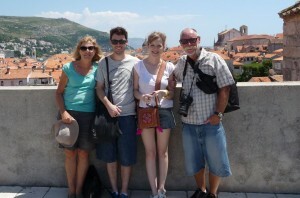 At the end of July, Andrea and I met up with Thea and Bruce in Croatia. They’ve been travelling the world (well, Africa, the Middle East and Europe) for the last six months and I haven’t seen them since I was in Australia a year and a half ago. It was also the first time that Andrea met my parents (or they met her). 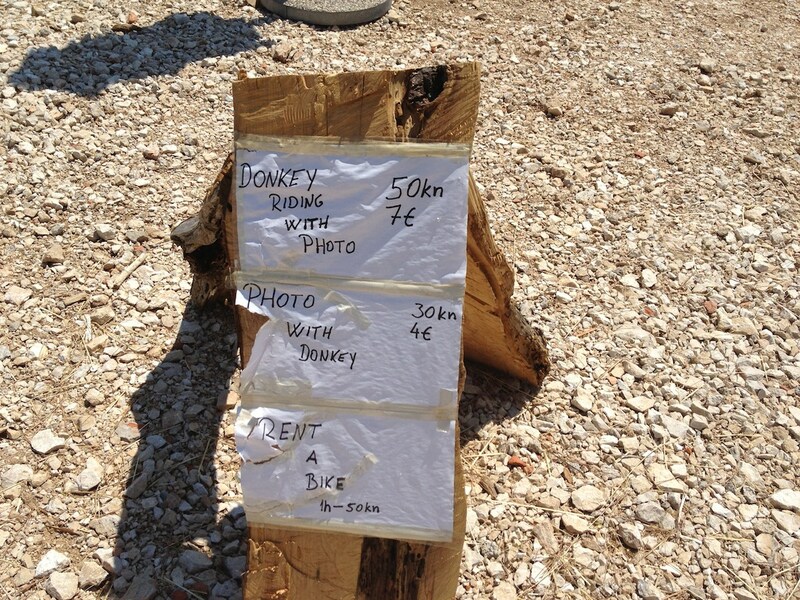 So, bags packed we headed off and met them at Dubrovnik airport. 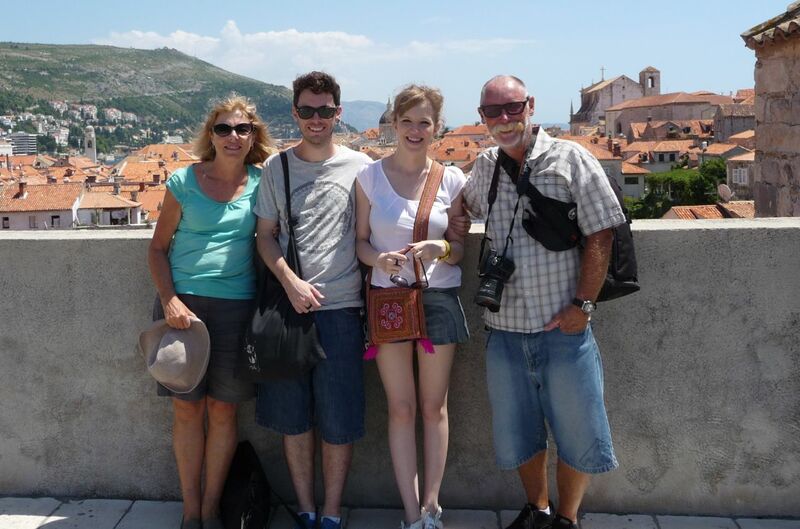 We had a fantastic week, first a bit of touristy stuff in Dubrovnik, walking 2km around the city on the top of the walls and catching the funicular up to the top of one of the mountains behind the city (where we didn’t ride the donkey). We then headed to Brač, an island just off the coast of Split for some much needed relaxation. 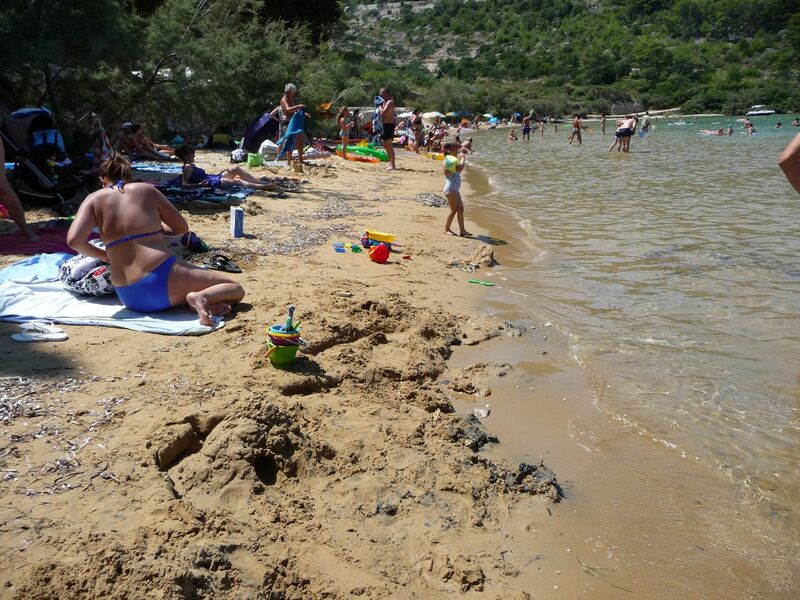 We spent a few days on the pebbly (rocky, really) beaches and even made the trip to the island’s one sandy beach. The sandy beach wasn’t nearly as long as it was advertised to be, but was lovely all the same. After our time on the island, Andrea headed back to Barcelona and on to Granada by air, while the three of us drove back to Barcelona via 7 other countries, but that’s another story. This entry was posted in Life and tagged Croatia, International Travel, Thea and Bruce, Travel. Bookmark the permalink.